While this week has proven to be filled with interesting discourse on the current state of self-publishing, some counterarguments just write themselves. Or, in this case, they get written by a staffer for The Guardian, Alison Flood, when she interviewed author Polly Courtney. 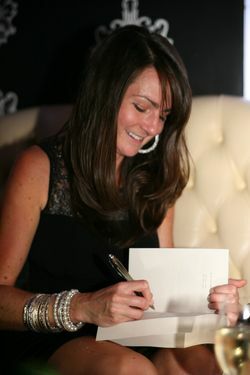 Courtney had at one point been one of many authors who represented the success stories coming from the industry. After self-publishing two novels, she signed a deal with HarperCollins, only to discover the reality did not live up to the dream. As she explained to Flood for the piece, which has been written for inclusion in The Guardian’s ongoing series on self-publishing, the negative aspects such as loss of control over her covers and the publisher’s insistence on squashing her work into pre-existing molds like chick lit or “misery lit” (whatever that may be), made her question the entire process. The frustration was compounded by the fact that HarperCollins had no promotional budget in mind for Courtney’s work. She was still responsible for all of her own promotion, much as she was when she was a self-published author, only this time she was promoting works that she didn’t feel good about while giving up a percentage of the royalty in the process. For more discussion on the issues that still plague self-publishing, please join GoodEReader staffers tonight for a live video Spreecast at 9pmET, which can be found on the Spreecast homepage at that time or by clicking the link HERE.